How often have you got locked out of your iPhone? If you have not been there and faced that recently, chances are you might have a hard time to unlock a locked iPhone if ever that happens. For such crucial moments of despair, of not being able to access your vital gadget to connect with the world, what is your fix to solace? Well! We can suggest you finding out how to unlock a locked iPhone by following the below mentioned tips. Keep reading and exploring more! If you are wondering, what exactly goes wrong with your iPhone before you get locked out of it then here are some of the top reasons why your iPhone gets locked. You or someone else in the family (such as kids) attempted more than the allowed limit of passcodes wrongly. You have forgotten the passcode to unlock the iPhone. The screen got damaged and can't recognize even the Face ID. The touch pad gone unresponsive to unlock the device through a Touch ID due to physical damage. In the following sections, we are going to narrate how to get iPhone unlocked if the above mentioned situations occur. If you are wondering how to unlock a locked iPhone 6 or how to unlock a locked iPhone 5s for that matter, Tenorshare 4uKey seems an exceptionally good option. Using this tool, you can easily bypass iPhone passcodes without using iTunes as a medium. Whether the iPhone screen got unresponsive or broken and makes it impossible to key in the passcode or recognize Face ID or Touch ID or 4 to 6 digit passcode, 4uKey can seamlessly unlock the iPhone 6 or 5S easily. It can even factory reset your locked iPhone without the passcode. Compatible with the latest version of iOS, it is capable of erasing all type of passcodes with much ease. Step 1: First of all, go to Tenorshare 4uKey official website and then download the software. Install and run it afterwards on your computer. Step 2: Take a lightning cable and then connect your iPhone 6/5S with the computer and wait a while. Let the software detect your iPhone and then hit 'Start' button in 4uKey window. Step 3: Click the 'Download' button once the latest firmware gets downloaded on your computer. Step 4: Tapping the 'Start Unlock' button will erase the iPhone passcode once the firmware has been downloaded. Let the system take some time to complete the entire process. Step 5: Now, the iPhone is clean of any old information and is as fresh as a new iPhone. 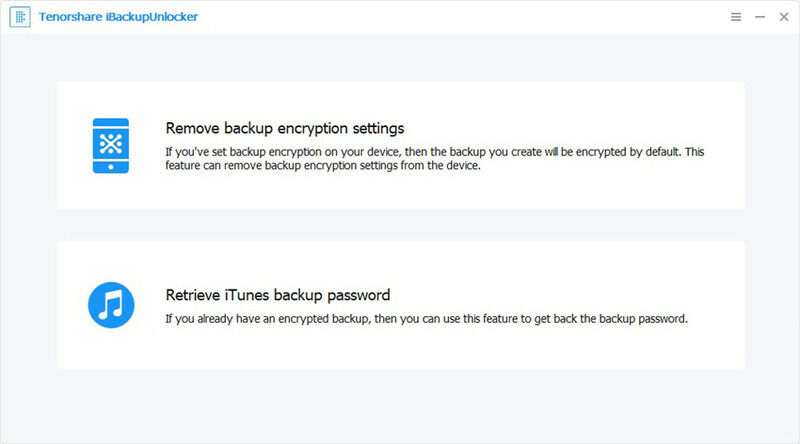 You got to set up the iPhone and restore it using an iCloud or iTunes backup. While setting up the device, you need to set up the passcode, Face ID and Touch ID afresh, as they have been wiped out too. If you want to learn how to get iPhone unlocked using iTunes, here is the guide. It erases the device data and settings including passcodes. 1. After updating and launching iTunes on your pre-trusted computer, connect your iPhone to it. 2. Select the iPhone from the list of devices on iTunes and then tap the 'Summary' tab. 3. Now, click the 'Restore iPhone' option and then re-tap 'Restore' to confirm your selection. 1. Head to iCloud.com and put necessary credentials. 2. Once signed in properly, click 'Find My iPhone' icon. 3. Now, go to 'All Devices' > select device > 'Erase iPhone' . 4. Lastly, tap 'Erase' to confirm. 1. Push down the 'Home' button until 'Siri' gets launched on your iPhone. Now, ask Siri 'What is the time now?' and wait till it displays your local time. 2. Hit the clock icon to enter the World Clock menu and them press the '+' sign for adding an additional clock. 3. Type some characters within the search box, tap 'Select All' and then hit the 'Share' option there. 4. Now, click the 'Message' tab and enter any random text and return. 5. After few moments tap the '+' icon followed by 'Create New Contact' > 'Add Photo' > 'Choose Photo'. Select photo now and press 'Home' button to access the 'Home' screen as you have bypassed the passcode and this is how to get your iPhone unlocked. Now that you learnt how to get iPhone unlocked in multiple ways, here is a comparison list. Face ID, 4 to 6 digit passcode, Touch ID etc. Face ID, PIN, Touch ID etc. Removes all passcodes and factory reset locked iOS devices. iPhone should be synced before. Need highly active internet and Find my iPhone should be enabled in device. A locked iPhone can easily give a headache to you for you become unable to operate your device. However, to unlock a locked iPhone, we've introduced some ways to make your burden less. If we're asked, using 4uKey will be the most intelligent choice since it performs without any such complications and removes passcode with ease unlike other methods. Also, within just a click, you're able to accomplish the goal.